The original intention of this Love Letter was to offer you a gift. 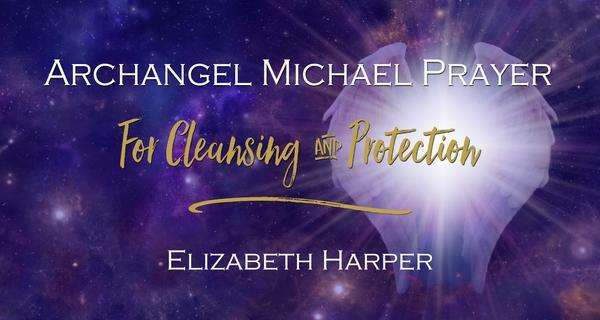 Many years ago I tuned into and channeled a prayer for cleansing and protection from Archangel Michael, and its this that I felt nudged to share with you. This is the message that came through to me from Archangel Michael, not word for word. This is the essence of our conversation. As I received this message I felt a HUGE presence around the top of my head and a pulsing vibration passing through me that made my heart pound. I cried throughout - my indicator of truth. We're moving through some heavy deep purple energy right now. It's so thick that it almost looks black. As I perceive the ethers clairvoyantly there is a sense of lavender higher up closer to the light waiting to come in. But here on our beautiful planet the vibe looks more like thick soup. What you need to understand is that even though you may not consider yourself a healer you are healing the planet, your tribe, and the cosmic forces around you all the time. As a lightworker you're cleansing this soup through your own system, so it's really important for your health and wellbeing to release that energy and not hold onto it. Your desire to be of service, your compassion and your love for all living beings opens you up to be a channel for the light. Of course, the light cleanses and protects you, but on a human level you can get caught up in the web of energy that is emotion. It's this emotion that we want to transform with the prayer. The image I made for the prayer above is exactly what Archangel Michael is showing me. I created that image a couple of days ago but he's just telling me what the energy is now as I write this. Sometimes we're prepped beforehand with information not realizing that we're getting the download, we just haven't opened the files yet. I recorded the prayer so it's really easy for you to listen to every day. It's short, but potent. Words have power and I am told by Archangel Michael that when you use YOUR OWN VOICE that power is enhanced. So as you listen and hear me say the prayer speak it along with me, either in your mind or aloud. 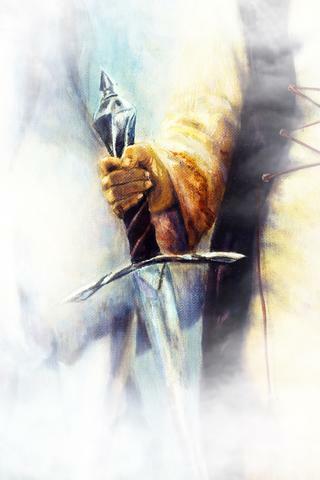 Your essence will infuse the words, joining with mine and that of Archangel Michael's. The combined force in the POWER OF THREE will help cleanse and protect your energy on all levels of being. 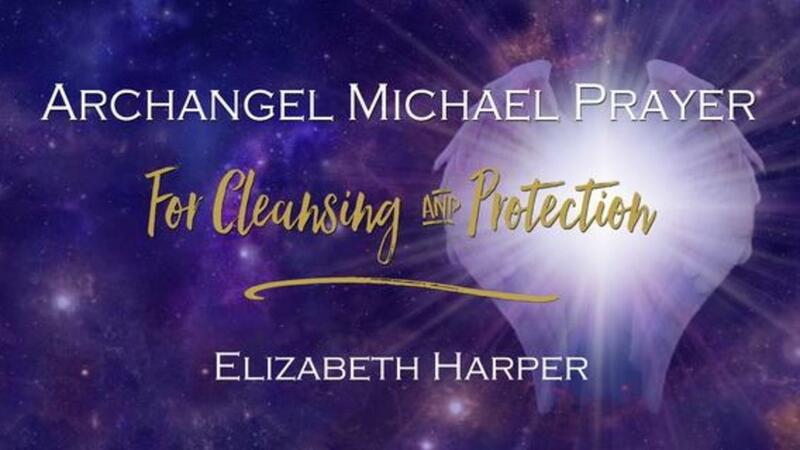 Click below to get your FREE Archangel Michael Prayer for Cleansing & Protection. Remember to come back here to let me know how the prayer resonates with you and if you too can feel the force of this angel's power through the words. Welcome to my community, I’m so honored that you chose to join. I checked and both the Archangel Michael prayer and Color kit emails have been delivered to you. Neither have been opened on your end which leads me to believe that they may have gone into your spam folder. Do check there and let me know how you get on. I’m sending you an email too so hopefully you’ll receive this. I was hoping to hear Archangel Michael's prayer. but I never found the Archangel Michael prayer!!!! This is my first time with this and I did not found out how to get the message from archangel Michael. I pushed where you said but it was not Correct. Could you help me out? Billie Jones Thank You! That was wonderful! I love what you do! Blessings!! Kari Wow - I'm astounded at how talented you are. Look at that art too! Linda Thank you, Elizabeth. This came right on time for me. David Than you so much Elizabeth. Talk about resonating. I was searching for a prayer to St. Michael this morning. I have been finding all types of feathers on my path and the last one was small and white. Amazing. And if I can send a message to Stephen to stay strong you will get through this. Elizabeth Stephen, I don't think there's another way to send it to you. I also live in the country with the poorest Internet access you can get, so I know what you mean. Have patience, it will download, leave the link open. Edwina Thank you Elizabeth, that was amazing. Your message arrived in my mail-box just as I was googling Archangel Michael and his female counter part Faith. Not a coincidence me thinks! Of late I have remembered to wear Archangel Michael's blue cloak of protection; recently fur was added inside the hood and today a large bow was placed beneath my chin! I love the prayer you gifted and your expressive voice is wonderful. I shall repeat it with you many times. Barbara I've asked for the prayer but am already on your weekly list. Thank you, Elizabeth. I would love to see you again sometime at Omega! When I sad the prayer there came a warm feeling into my heart. Andrea Thank you Elizabeth! This is exactly what I needed.